Atria is one of the leading food companies in the Nordic countries, Russia and the Baltic region. The group is divided into four business areas: Atria Finland; Atria Scandinavia; Atria Russia; and Atria Baltic. 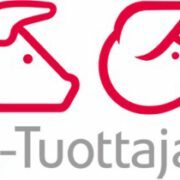 Atria Finland develops, manufactures and markets 100% Finnish fresh meat and other foodstuffs, and provides related services. 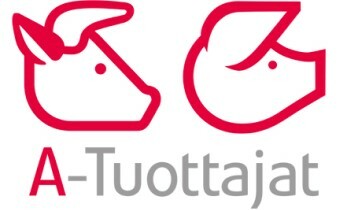 It is the market leader in Finland’s slaughterhouse industry and has significant export operations. Atria is planning to build a large biogas and Nutrient Recovery and Re-use (NRR) plant in Seinäjoki (Finland), a region (in a radius of 50 km) characterised by intensive primary production, Atria group slaughterhouses, and other lands where digestate (derivates) can be spread. A-farmers, part of the Atria Group, has been responsible for the first steps of this enterprise. A-farmers has also been involved in the SYSTEMIC project since its beginning in 2017 and the Seinäjoki biogas plant will be considered a key SYSTEMIC outreach location. Atria seeks to enhance the competitiveness of Finnish meat on the global market, as well as the environmental sustainability of primary production and the whole food-production cycle. Valorising manure into recovered products would enhance A-farmers’ primary production in the neighbourhood of slaughterhouses and prepare Atria for stricter rules for spreading manure/digestate in the future. The growing season in Finland is short, with less than two months in the year when spreading of digestate makes sense, since spreading into frozen land is not allowed, nor useful. Throughout the remainder of the year, the produced digestate needs to be stored, requiring a strong storing capacity. Atria considered that digestate spreading as such is not enough for substantial nutrient recycling, neither from the environmental, nor the economic point of view, and will therefore place nutrient recovery at the heart of the new plant. The plant will treat manure, slaughterhouse waste and biowaste, and will have an estimated treatment capacity of 164 000 tonnes/year at the beginning (the environmental permit will allow for a total of 240 000 tons/year). The produced biogas will be around 10 Mm³/year or 70 GWh, with the goal to upgrade and generate Liquefied Biogas (LBG) to be used as fuel for heavy traffic. The amount of LBG produced is estimated at 50 GWh. The plant’s own energy – electricity and heat – will be produced through Combined Heat and Power (CHP). Find out more about the feedstocks, end products and biogas in the Atria Factsheet. Fresh water need is very low: decreased costs of fresh water and waste water. “We look forward to exchanging knowledge with specialists and other plant operators. Atria has experience with evaporators and membrane technology and has conducted field tests and analyses on digestate and recovered products, including organic harmful compounds. An environmental permit for 240 000 tons/year was applied for in February 2018. The process was complicated due to strong resistance within the neighbouring areas, resulting in a need for modifications to the application, including a possibility to apply for a discharge permit at a later stage. 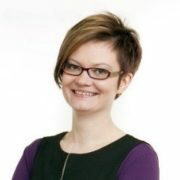 New requirements for Best Available Techniques (BAT) in Finland necessitate extensive evaluation of compliance to be performed by Atria, which additionally slows down the permit process. The environmental permit is expected to be granted in June or July 2019 at the latest. The final tendering and detailed negotiations, and concept planning are being agreed in early 2019. The final financial agreements are being made and negotiations with energy customers (pre-agreements for 80% of LBG), raw material suppliers and nutrient product users are being finalised in early 2019. The final investment decision is due in the summer of 2019 and Atria is planning to start the construction in the summer or autumn of 2019. It is estimated that the plant would be operational the first quarter of 2020. Biowaste, animal manure, sewage sludge and food and feed waste, form the most abundant waste stream in Europe and hence, the most prominent potential resource for the production of biogas and the recovery and recycling of mineral nutrients like phosphorus (P), nitrogen (N) and potassium (K), thereby reducing Europe’s dependency on external and non-renewable P reserves and reducing greenhouse gas (GHG) emissions from N fertilizer production.